Ford Motor Company is a well-known auto company that has been serving the world since its incorporation in the year 1903. The company is associated with sales of commercial vehicles and technically upgraded automobiles. They introduced effective measures that helped in manufacturing cars and even management of industrial workforce at a large scale. It is the second largest automaker in the United States, and fifth largest in the world, in respect to the sales figures of the manufactured automobile units in the year 2010. Ford Motor Company has about ninety plants and manufacturing facilities throughout various countries of the world. 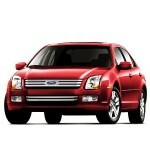 There are currently 2 consumer reviews about Ford Motor Company available. Share your review. DEALING WITH FORD DEALERSHIP AND FORD MOTORS WAS THE WORSE EXPERIENCE I EVER ENCOUNTERED SINCE I STARTED BUYING CARS. I WAS DECEIVED, LIED TO AND TREATED LIKE A CHILD. FORD MOTOR CORPORATE DO NOT HAVE TIME TO SPEAKE TO YOU OR HEAR YOUR ISSUES. OTHER WISE NOONE CARED AND AND WHAT MATTERS TO THEM IS TO MAKE THE SELL. I BOUGHT A CAR THAT WAS SUBJECT TO RECALL ISSUES AND THE CAR HAS BEEN AT THE DEALERSHIP FOR OVER A MONTH . I CONTACTED FORD MOTOR WITH NEGATIVE RESULTS . FRUSTRATION AND STRESS , ALL YOU WILL GET DEALING WITH ''FORD '' . DONT GO THROUGH WHAT I AM FACING RIGHT NOW . I AM IN THE PROCESS OF TAKING OTHER MEASUREMENTS TO ADDRESS THIS SITUATION ANS SEEK ASSISTANCE. Please take a note that you are about to post a public review about Ford Motor Company corporate office on CorporateOffice.com. This review will be public, so please do not post any of your personal information on this website. If you would like to contact the corporate offices of Ford Motor Company, please use their contact information such as their phone number, website, and address listed above to contact them. However, sometimes staff from Ford Motor Company headquarters do read the reviews on this website.